It’s Valentine’s Day, and I know this day makes a lot of people (like Liz Lemon) annoyed. And yes, like most holidays it’s over commercialized (making flowers and food at restaurants 10x more expensive than they are the day before or after is just insane). But I really can’t help but like a holiday that’s all about Love. And while it is widely promoted as a holiday about romantic love, it really doesn’t have to be (I send my mom a Valentine’s card every year). Sure, it’s wonderful to remind people often how much you love them, but it’s easy to forget in the hussle bustle of life. So I think it’s great to have a day in the middle of the cold dark months that’s all about saying I love you to all the people you love in all the different ways. And the tokens of love and appreciation that make the best gifts are usually the homemade kind. 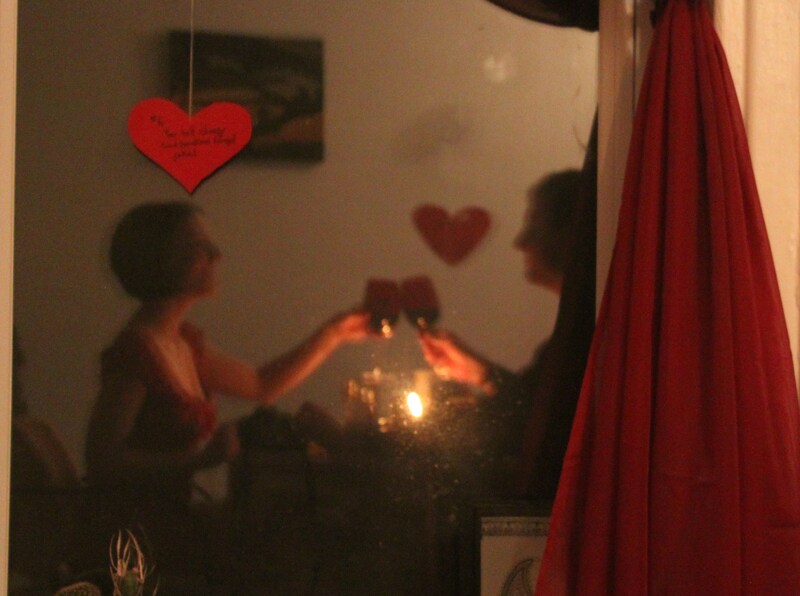 Last Valentine’s Day I made Mark dinner and decorated the apartment with paper hearts of reasons why I love him. 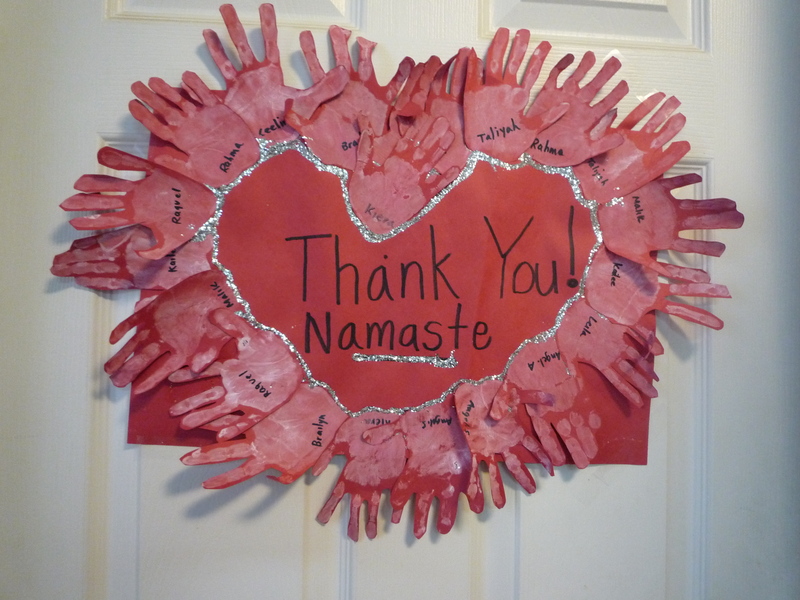 And this year one of my classes of preschoolers made me this wonderful sign to say thanks. Gifts like these (or simple words of appreciation) mean so much to the recipient (at least they do to me). So rather than feel pressure from businesses to have a romantic partner today, think about all the people in your life that you are thankful for and feel lucky that life can contain so many different forms of love.